Keeping safe during any summer travel requires proper preparation. Taking the time to think ahead can prevent a vacation from being ruined. Getting stuck on the side of the road with the kids and dog in the car is a sure fire way to dampen vacation plans. 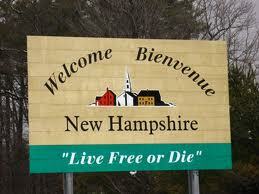 The following travel tips are beneficial for anyone planning to travel in New Hampshire. Let other family members know your travel plans when planning a vacation. Making certain a loved one knows when you are scheduled to leave and return, and where you are headed is an important safety measure. It is also important to map out any travel routes. There are many options found online that can be used to estimate fuel costs and other aspects of your trip. Apps can also be used to find various restaurants and places of interest along the way. Proper preparation of your vehicle will prevent many unexpected situations. You will need to check the air pressure for all tires and the spare. A vehicle will get the best mileage when the tires have the proper amount of air. The battery, fluids, and engine should be inspected before any trip. Changing the oil may also be necessary. Another aspect to keep in mind is checking the wipers, lights, and blinkers. A vehicle with non-functioning equipment is likely to be pulled over for a motor vehicle violation. With over 30,000 fatalities relating to auto accidents in the U.S. each year, every person in a vehicle needs to buckle up when on the road. If a tire goes flat on the highway, pull off to the side away from traffic. You should not do any repair work on the side of a highway, as this is not safe. A number for a local tow service should be kept for an emergency. This includes any parent, grandparent, and children riding in a vehicle. The appropriate seatbelt/car seat will need to be used for young children and be installed properly. Anyone who is driving to reach a destination needs to pay attention. This means avoiding things that can be a distraction. One thing to keep in mind is not using a mobile phone when driving. There are laws in NH regarding texting and distracted driving. A driver may not text or use a hand-held device when driving. Make sure a GPS unit is set to provide instruction that is audible. Never leave a child in a vehicle alone for any reason. A vehicle can easily reach 140 degrees when it is in temperatures over 95 degrees. One thing to keep in mind is to have young children sit in the back of a vehicle when on a trip. Make sure to have a supply of snacks as longer trips will often be tough for younger kids. This includes having a supply of juice boxes and bottles of water that are being kept cold. Another thing to keep in mind is a supply of DVD movies and books. Summer vacation and travel is a wonderful experience. The NH Injury Lawyers at Tenn And Tenn, PA remind everyone to please travel safely this summer.